I have to say I’m living my dream. 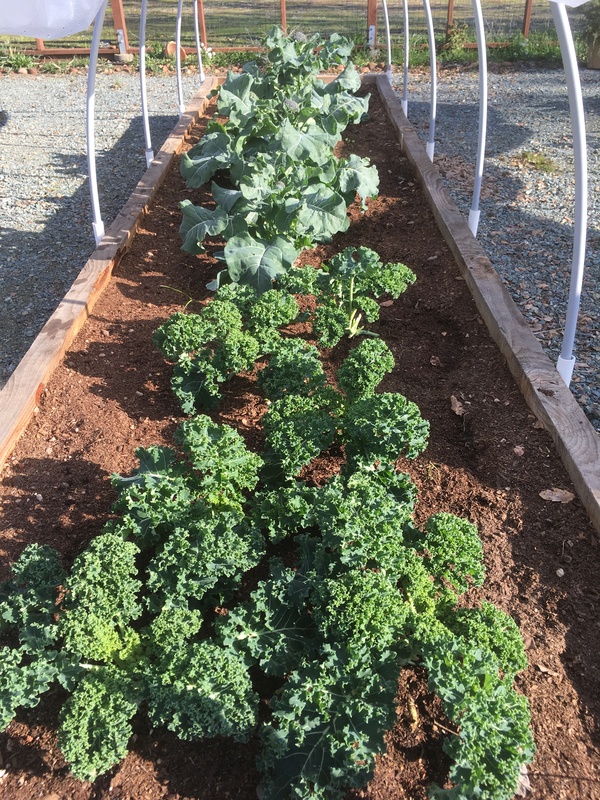 My garden is overflowing with produce. I have been canning up a storm. Yesterday I canned Fig Jam, Pepper Jelly, Eggplant Preserves, Roasted Tomato Sauce and dehydrated Crook Neck Squash. I hope you are having a bumper crop year too. Did you know All In A Jar can help you with your produce. No sense of wasting it. We can preserve it to have for future use. If you have a large quantity of your own fruits or vegetables that you would like to use for canning, please contact All In A Jar to set up a private session. The class will cost $35.00 per person, and you will leave with all of the jars that you produce. This class requires two or more people. All In A Jar will provide all of the necessary tools and knowledge for the class. 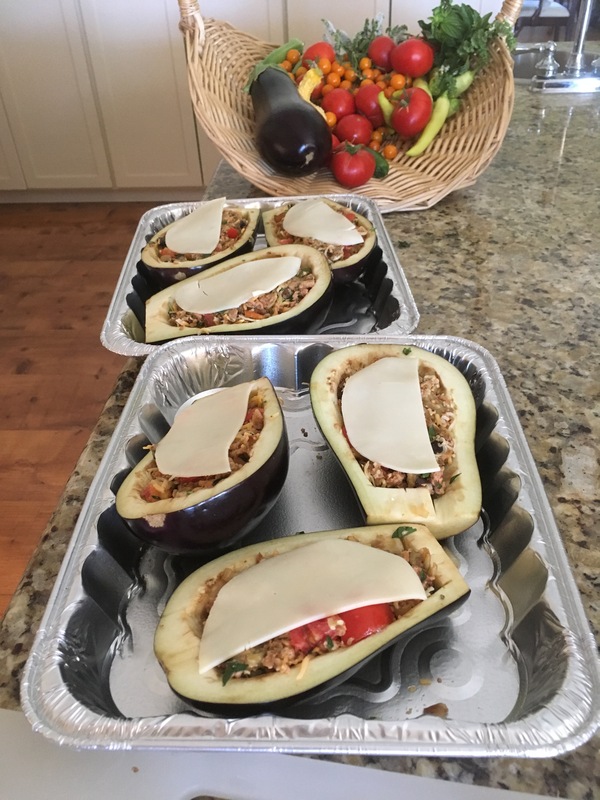 You will learn two different recipes specific to your ingredients. 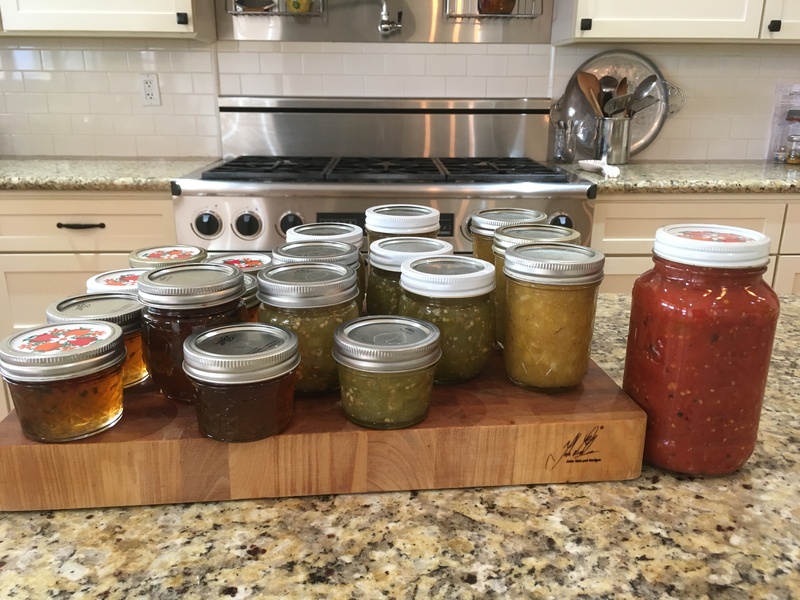 You will spend three hours with Instructor Penny Porter learning about canning. I will be there to guide you through every step and provide you with an appropriate recipe that will make your fruits and vegetables shine! 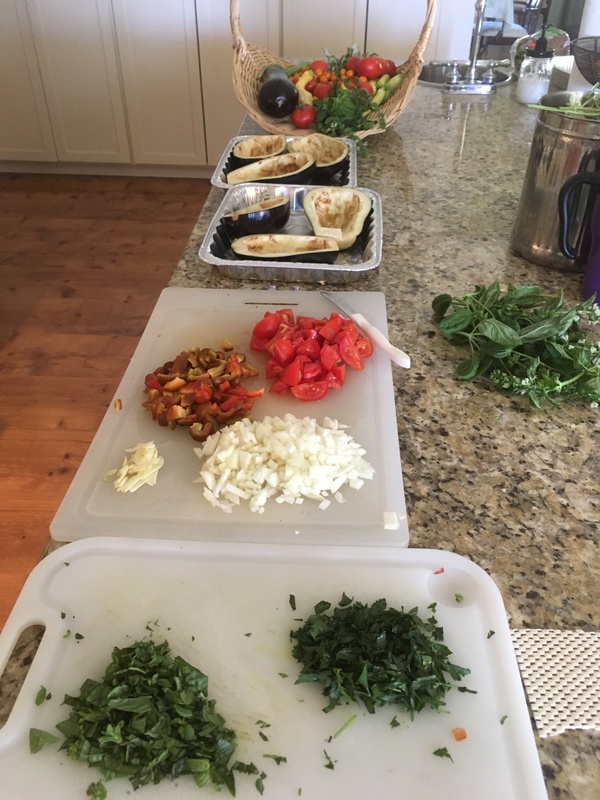 If other ingredients are required I will discuss this with you upon scheduling your class. Note: All ingredients and tools are supplied by All In A Jar for regularly scheduled classes. 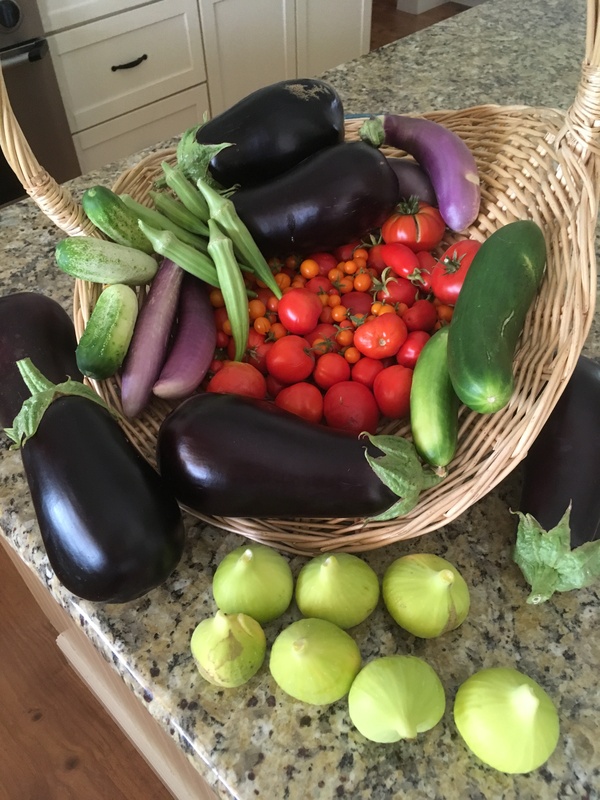 My garden has been bursting with veggies lately and my husband and I can’t keep up! To make sure nothing goes to waste I have begun to freeze some of my goodies so that we can enjoy them in the future. 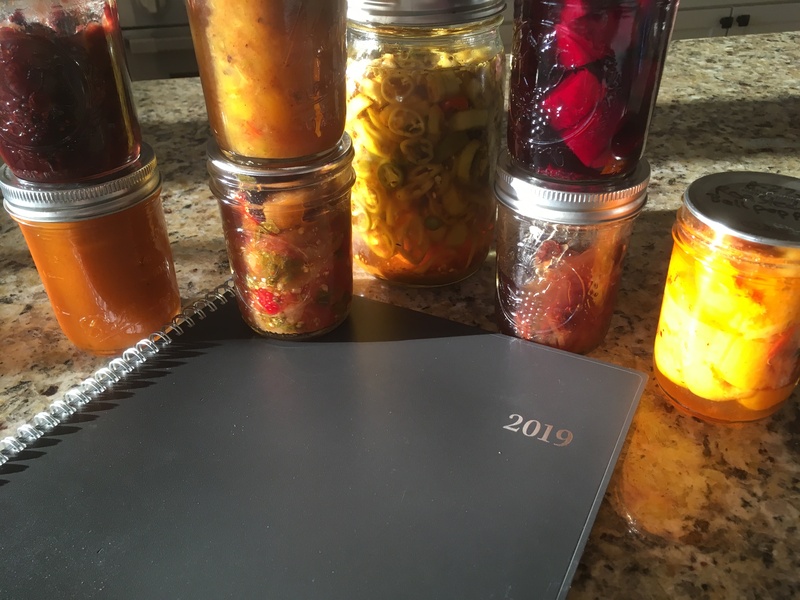 The art of preserving food isn’t limited to just canning; freezing is another method of preserving which has been used for centuries, and it’s a method I use often.